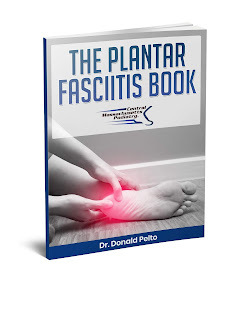 Dr. Pelto's Blog: What to do after a foot ulcer? What to do after a foot ulcer? Today I had finished seeing a patient after many weeks of an ulcer on the bottom of the right foot. This had been slower to heal and he didn't even have diabetes. 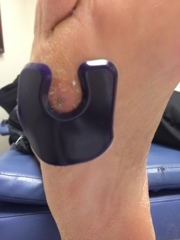 After it was healed a put on a pad from Dr. Jill's that works very well to prevent the pressure build up around the foot ulcer location. If you don't know, recurrence or a repeat wound is very common. The best way to prevent further wounds is to look on the bottom of your feet every day. Now what happens if you can't reach down? What happens if you can't see or don't have anyone at home? A mirror is the best option or even an i-pad if you have one. If you want to buy one of the mirrors click the image below, this is a great idea if you can't see the bottom of your feet. Even though it says it is for diabetics it is for anyone with a prior foot wound.